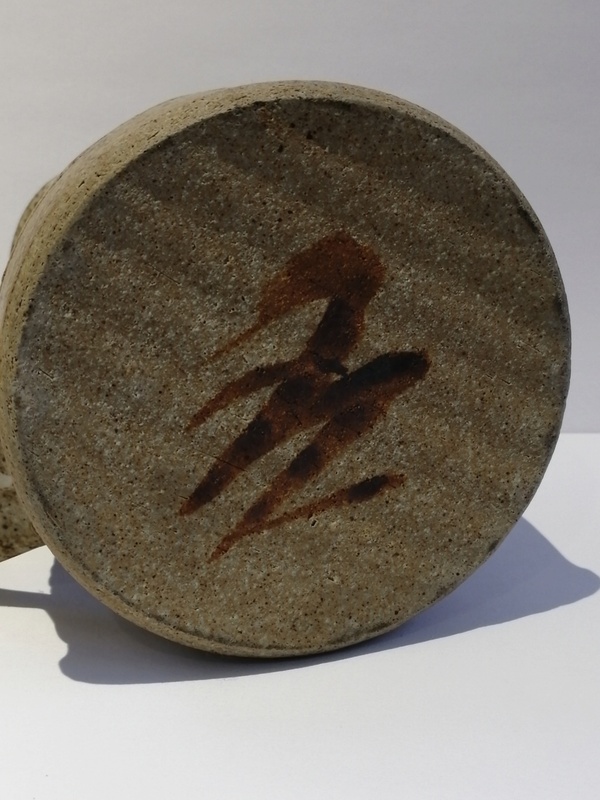 Stoneware Jug hand signed in base? 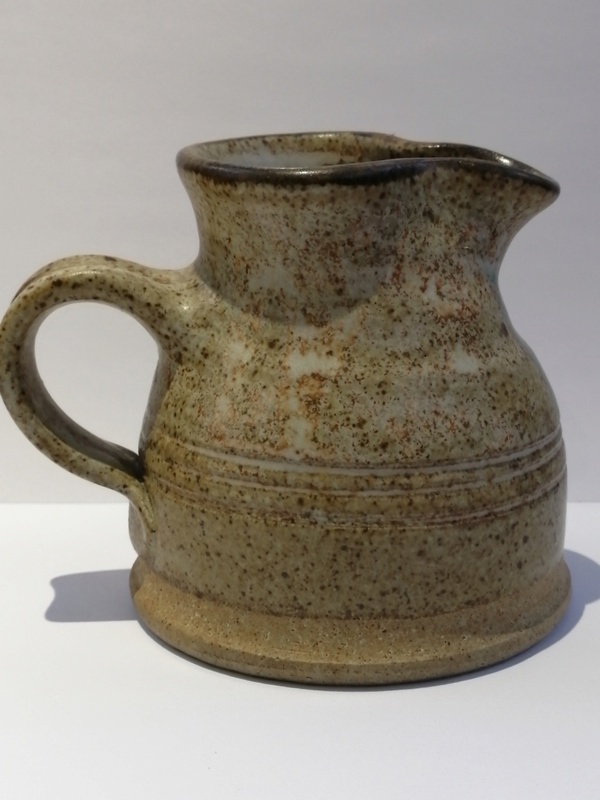 I have struggled with trying to identify this little stone Jug for some time.. Can anyone help please.. Its glazed inside and out but not on the base.. I am not sure which way up the signature is either. Re: Stoneware Jug hand signed in base? I thought I was seeing double; it looks like the same signature as the pot posted below by faeriequeene. I’ve come across this mark several times but not managed to ID it yet.